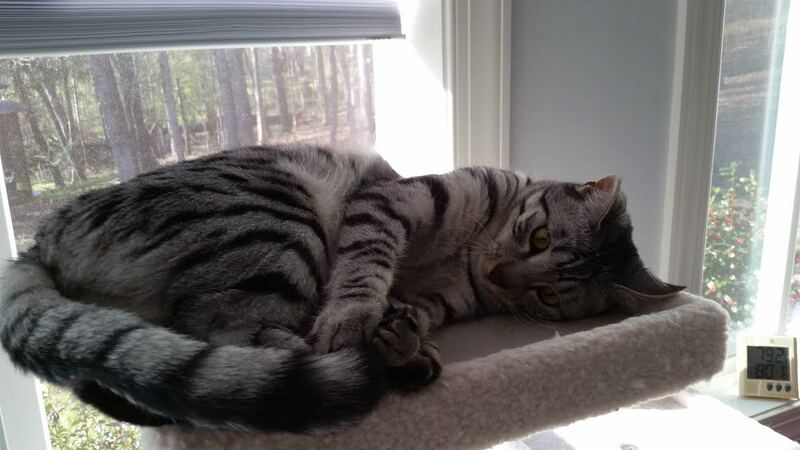 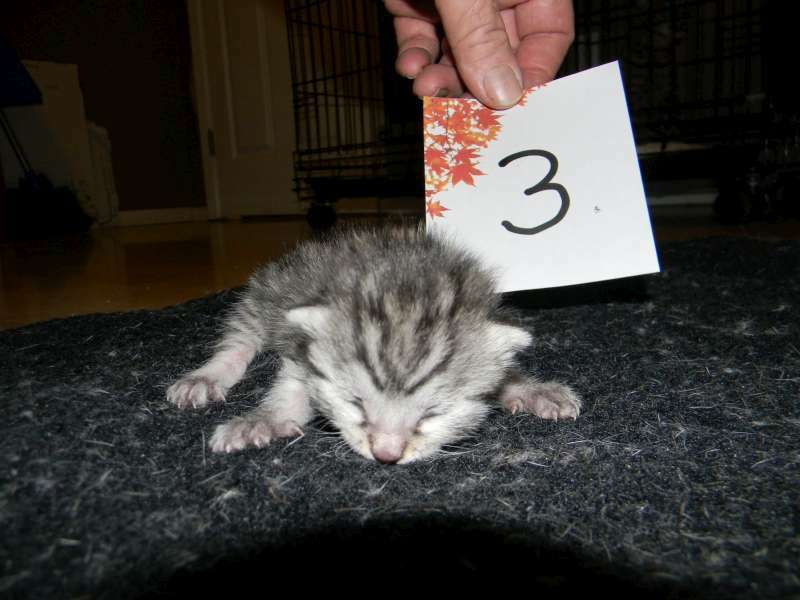 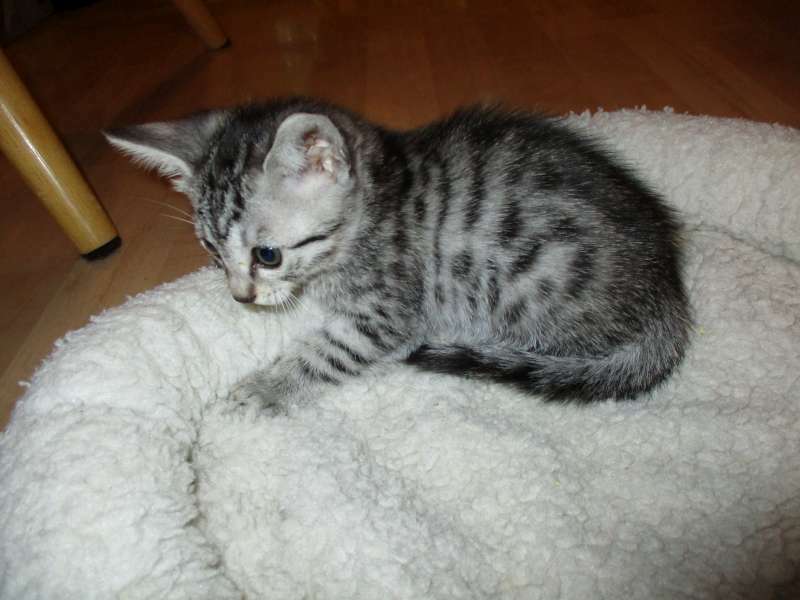 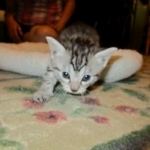 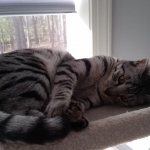 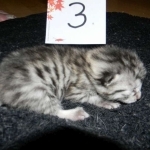 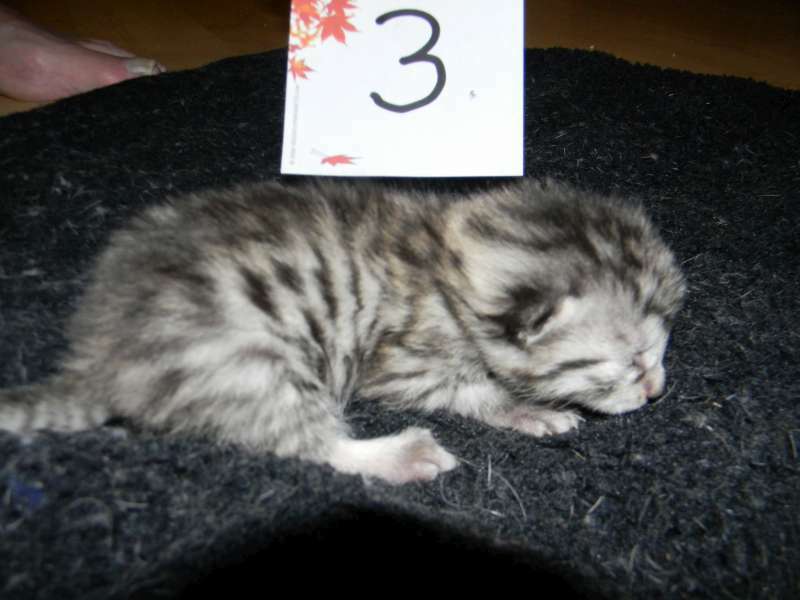 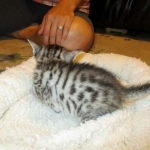 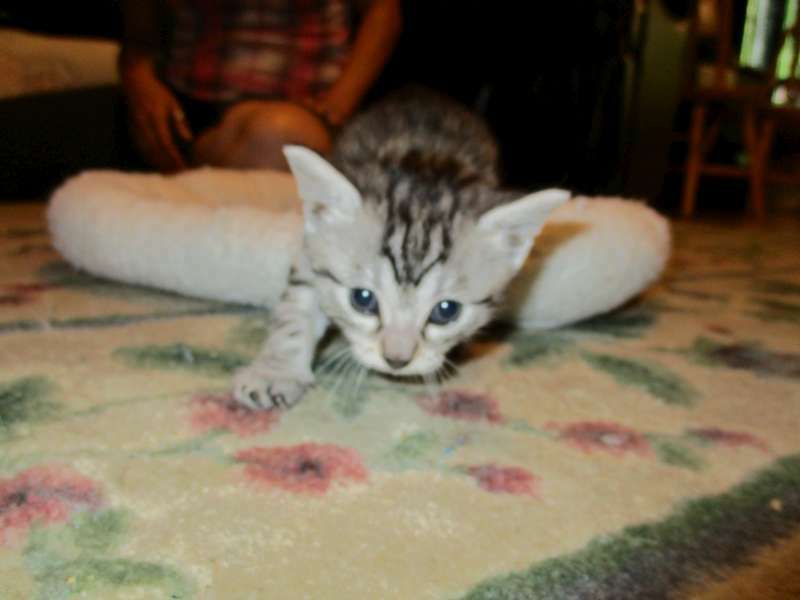 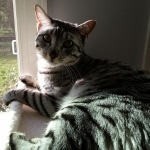 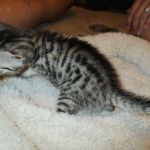 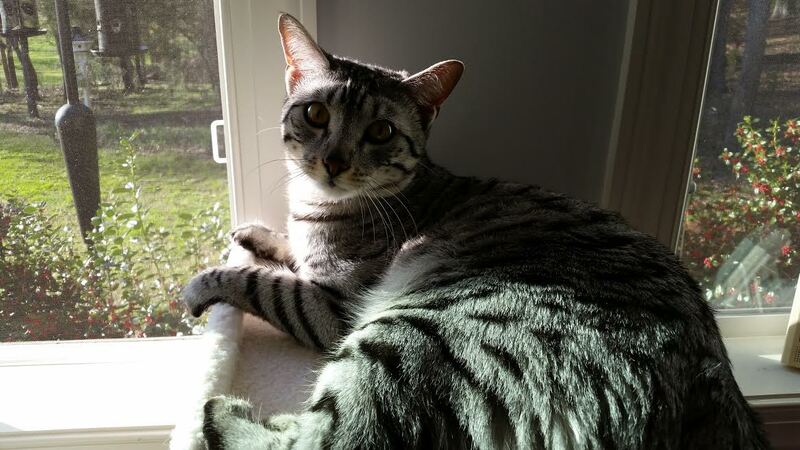 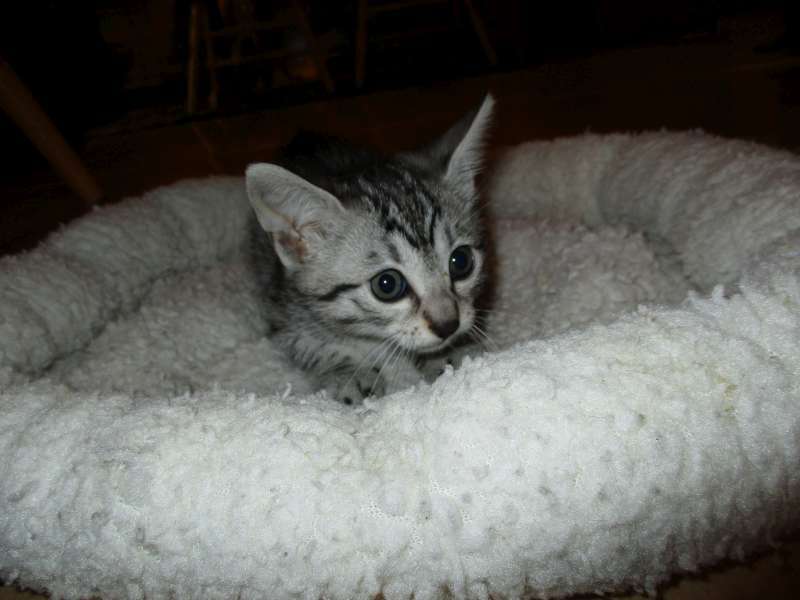 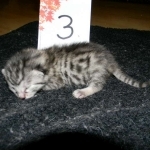 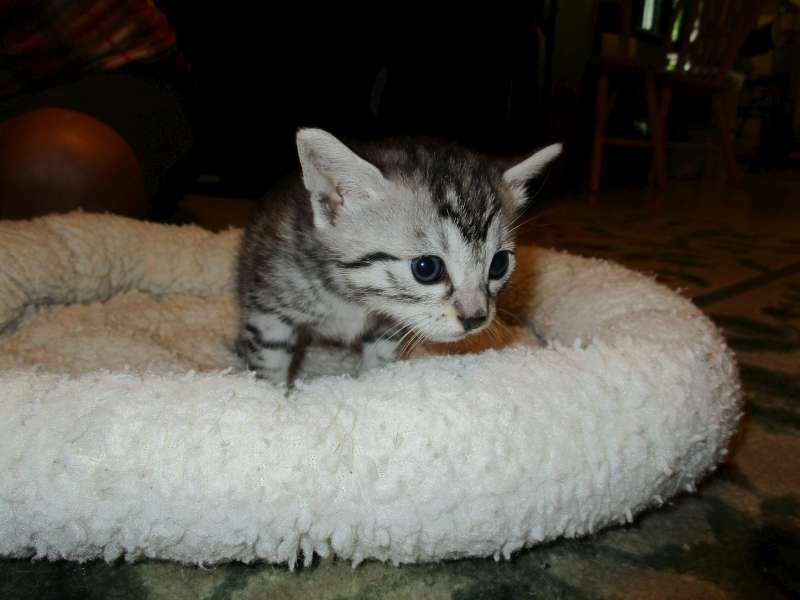 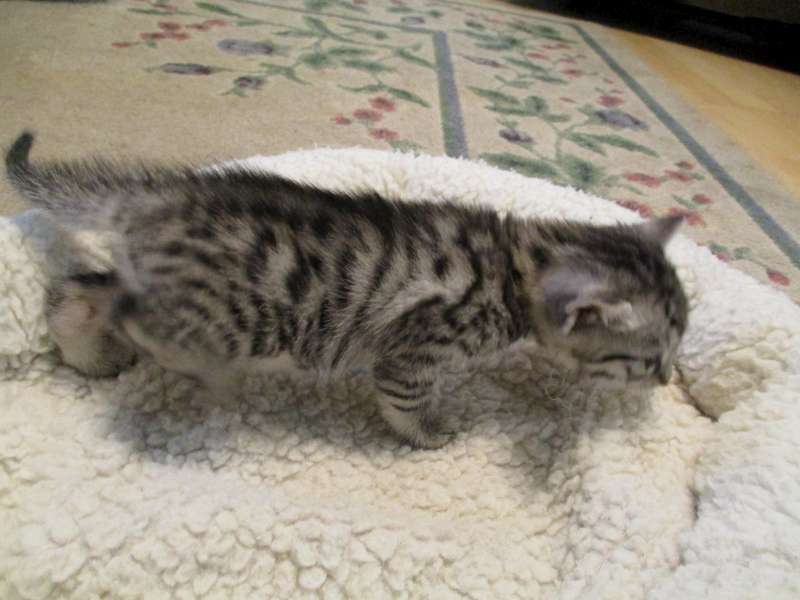 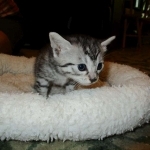 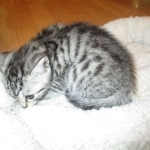 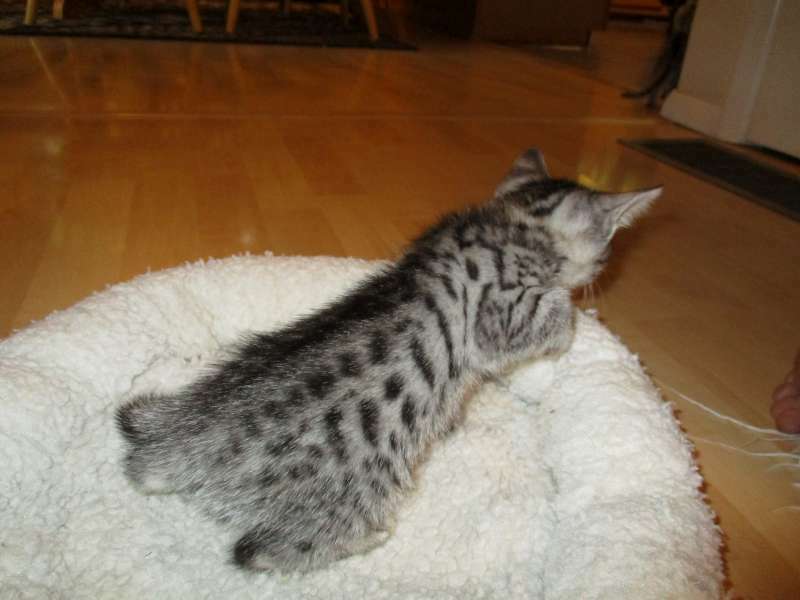 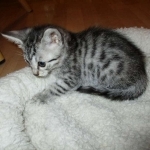 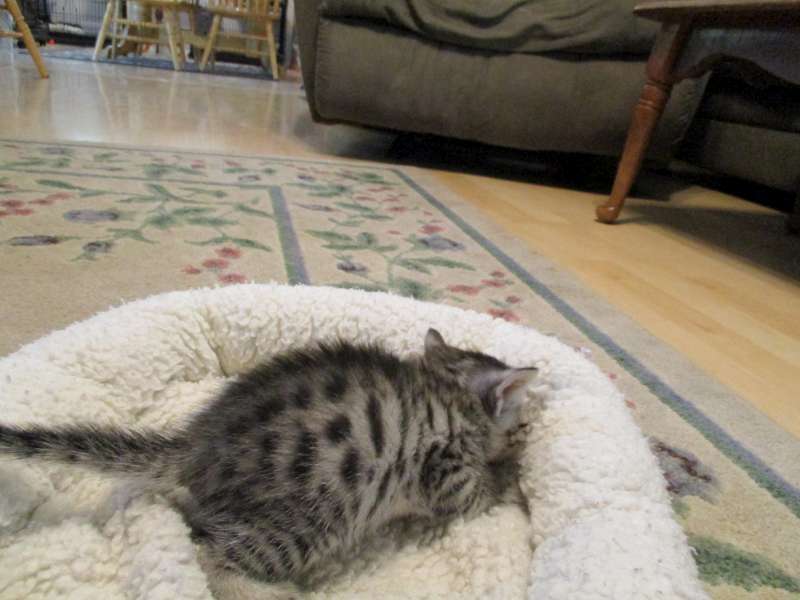 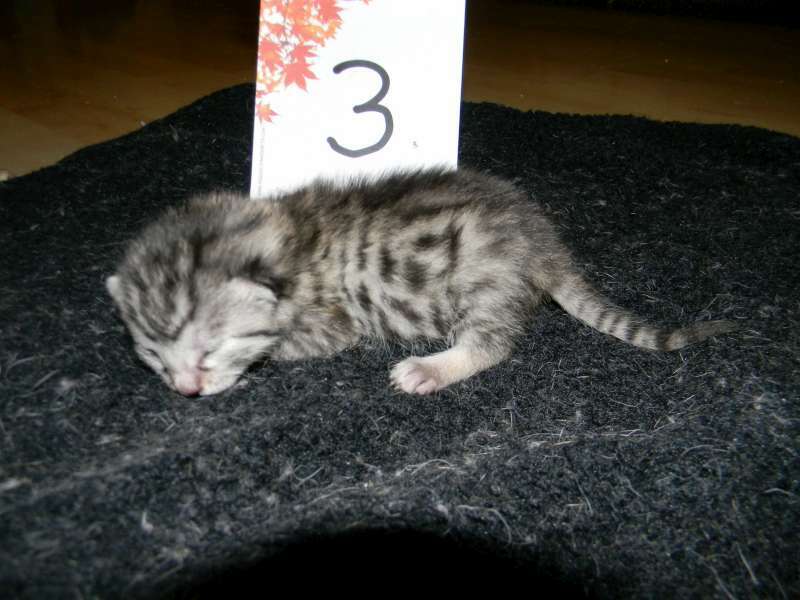 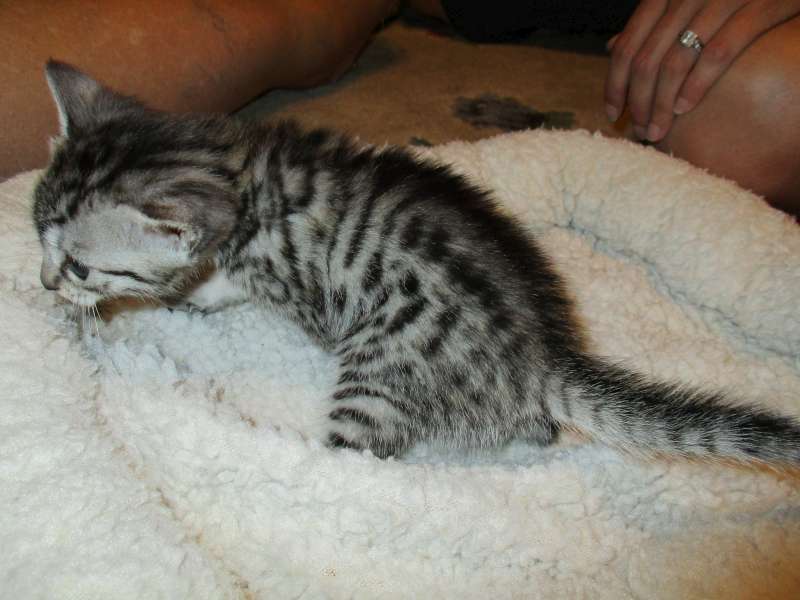 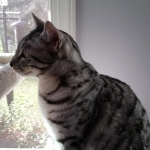 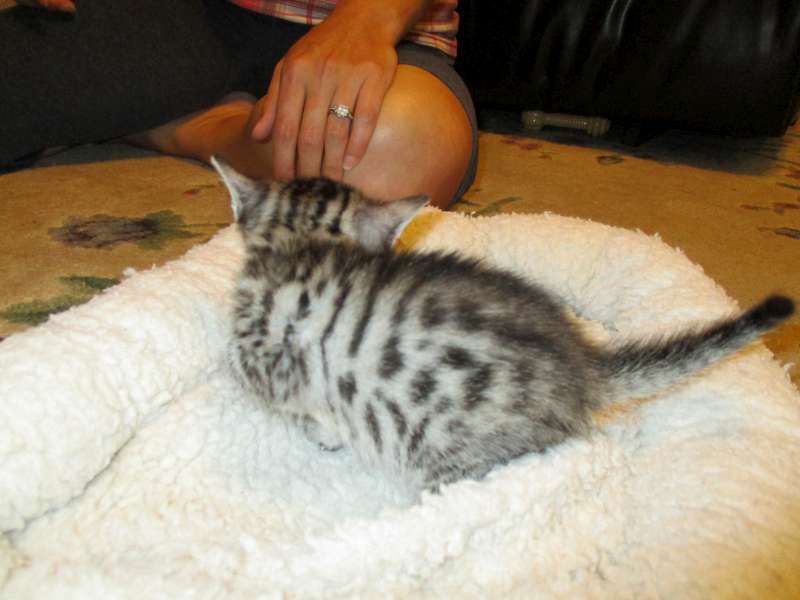 This Egyptian Mau girl has huge black spots and some tarnish at birth. 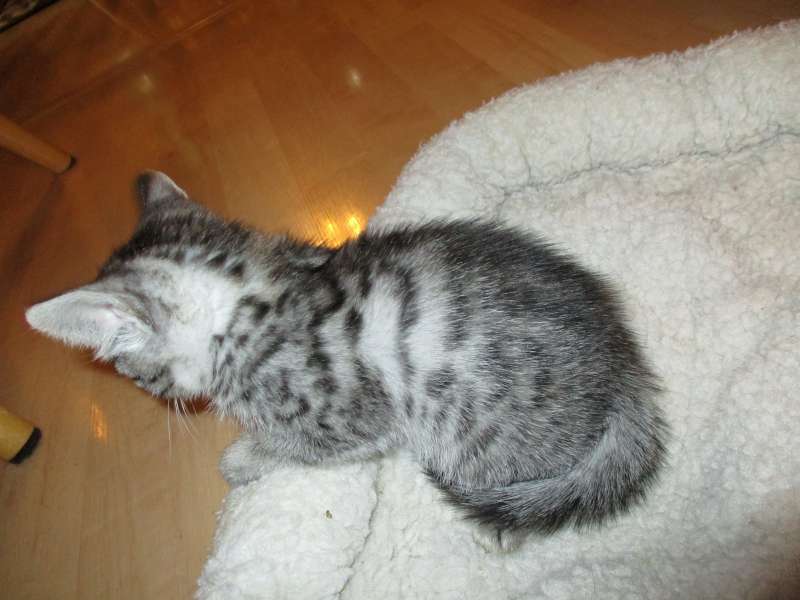 Can't say if she will remain silver or become cool bronze at this time. 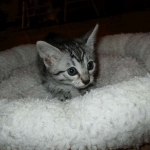 She is going home to Pam who lost her prior beloved Mau several months ago at age 16. 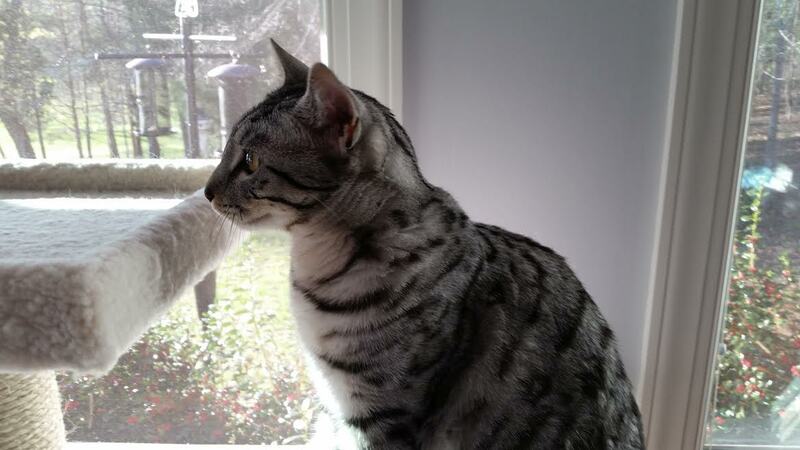 Silvy has really fit in well and is an awesome cat. 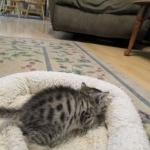 She is well and healthy. 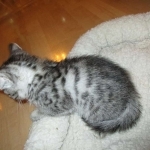 She is super big, on her hind legs she can touch the top of the counter top.